Carlsbad, Oceanside, Vista, San Marcos, Escondido and the surrounding area. A Real Plumber- Not a Handyman. 25 years experience Who You Gonna Call? ​When you suspect that your home has a water leak, it’s essential that you act quickly in order to reduce the likelihood of severe property damage—and high water bills. Call And Mention This Coupon Today! We will locate the source of your plumbing problem and fix it as quickly as possible. 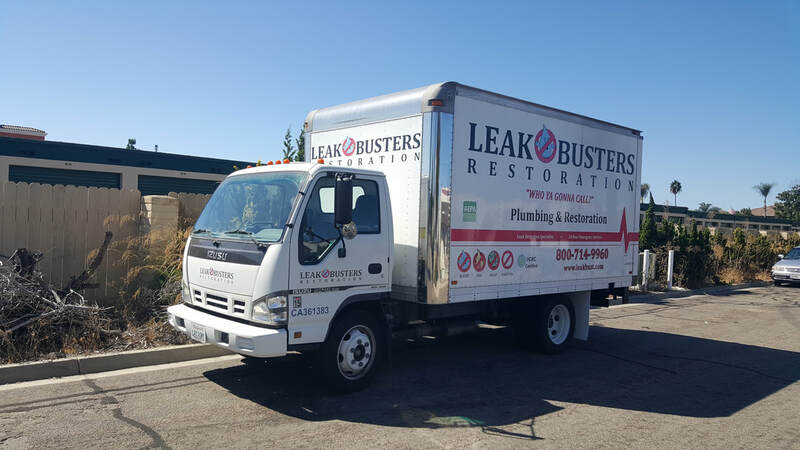 ​Leakbusters plumbing is owned and operated by one guy with one truck but with years of top notch plumbing service. Owned by Eric Weissmann, I am best at problem solving- finding leaks is what I do. I can find the leak, fix the leak and dry the area with blowers and dehumidifiers. A one stop shop. Call me today for top notch service. I also have drain cleaners and like to work on faucets and water heaters.